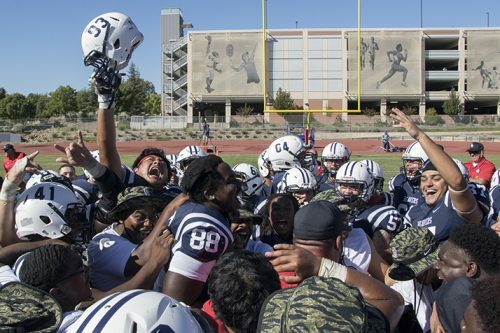 After their devastating loss at the hands of Laney College last week, American River College’s football team spent the week practicing hard and regaining its momentum. Head coach Jon Osterhout got the team back on track in practice over the course of the week. 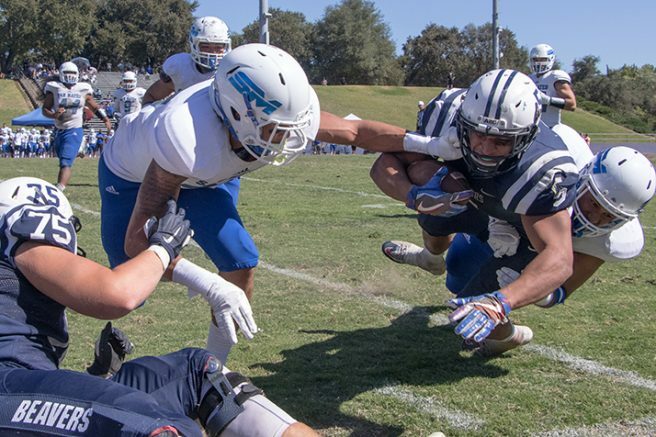 The week of practice paid off for the Beavers in a 18-13 win against College of San Mateo. “We had an unbelievable week in preparation and practice and it certainly played well through the course of the game,” Osterhout said. In the final minute of the game quarterback Jacob Cruz threw a 41-yard touchdown pass to wide receiver Eric Davis Jr., pushing the team to their win. The Beavers have a history with the San Mateo Bulldogs after losing their chance to compete in last year’s NorCal Championship to them, 24-21. The win was hard fought for the Beavers, coming down to touchdowns made in the fourth quarter with a rush by Cruz and a pass to Davis Jr.
A pass by Terrell Carter of San Mateo was picked off by Beavers linebacker Justin Houlihan who brought the ball to the 41-yard line. The team pushed towards the end zone until Cruz rushed 6 yards for a touchdown, with 5 minutes left. San Mateo scored its final touchdown with 2 minutes left, leading the Beavers, 13-12. In the final minute of the game, Cruz fired a 46-yard pass followed by a 41-yard touchdown pass to Eric Davis Jr. earning a win for the Beavers. “It was a tough game throughout the whole game, we had to finish it,” Cruz said. Evyn Holtz rushed 155 yards in 29 attempts, pushing the team towards victory. “It was an amazing game. That’s a tough team, San Mateo,” Holtz said. “That loss [against Laney] really was a reality check for us, so we got back to the way we’re supposed to practice at American River and it worked. The loss against Laney put a weight in the team’s head during the game. Eric Davis Jr., a wide receiver for American River College, ran the final 46 yards to a touchdown in the fourth quarter push for American River College. “We just had to come out with a chip on our shoulder and go to work. It was the time to bounce back and just had to play Beaver ball,” Davis Jr. said. The team’s victory sparked an impassioned speech by Osterhout in the end of game huddle. He praised the teams drive and ability to close the game strong. “It’s a game of momentum and we were just able to continue to rise to the occasion and get the momentum back on our side,” Osterhout said. 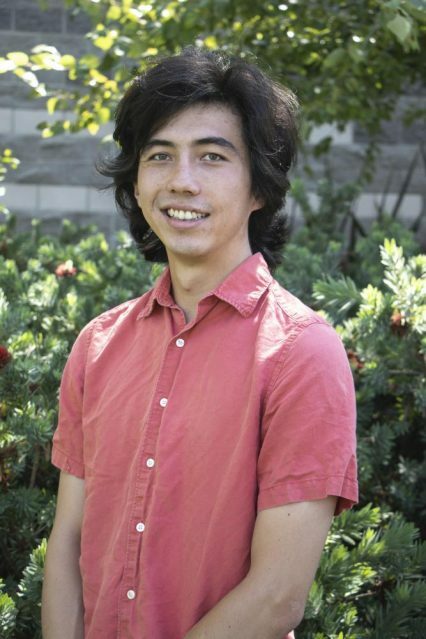 Patrick Hyun Wilson is a first semester staff writer with the Current studying photojournalism. He has a history studying classical photojournalists, Garry Winogrand, Henri Cartier-Bresson, and Robert Capa. His intention is to fuse art photography with journalistic integrity to reignite photography’s importance in journalism. He plans to transfer to Sacramento State in Fall 2019. Campus Pulse: Where do you get your textbooks? Be the first to comment on "ARC secures win in fourth quarter comeback"